To 150 years of the company, PETROF opened the MUSEUM PETROF to show a long tradition of production of pianos, all those years on the same place, in Hradec Králové. Our products offer the highest quality proved by years, every instrument is an artistic and unique piece due to 75% hand made elaboration of wood and other materials. 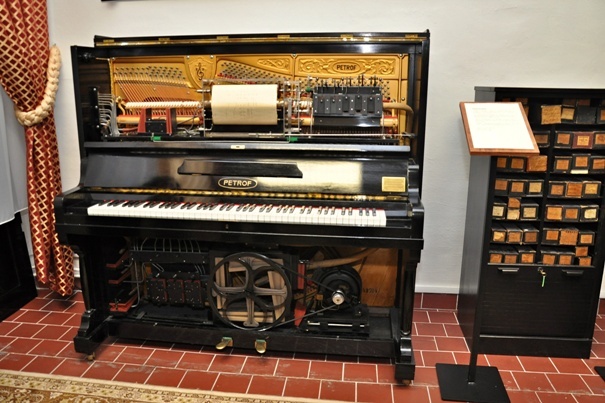 During the visit of the museum you will be told about the history, the beginnings of the small company created by Antonín Petrof in 1864, passing over all political and economical difficulties, until this year´s anniversary and the strong company situated among the best producers of pianos worldwide. In the museum you find some of very specific pieces, such as one old upright piano which plays itself thanks to the mechanism of a roll of paper with small holes and the air passing through, or an upright piano in a very modern design called „Magic egg“. You can also find here the „Piano bar“, borned with the idea of bringing piano music in bars and restaurants also without a need of the real person to play on it. The museum also offers guided visits of production departments which is very interesting. You can see there all steps in making a piano. 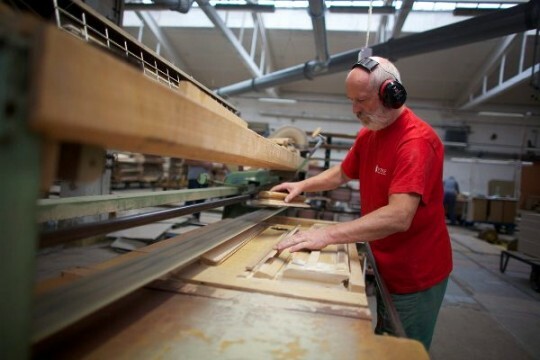 After visiting the factory you will have a better idea of what it takes to make born such an instrument and what devotion and accuracy people of the company dedicate to every piece.